Most roofs are replaced with insurance money. 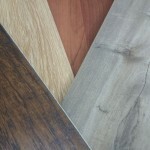 We sell a lot of shingles because of damage from rough weather. Downed trees, high winds, large hail, and lingering snow play havoc with roofs! We’ve never seen a roof that had to be replaced because of faulty shingles. Some roofs, of course, need to be replaced because of wear and tear. We’ve never seen a roof that needed to be replaced because of defective shingles, which is why we don’t worry that we sell shingles without a warranty. Your roof may need replacing even if you don’t have a leak. 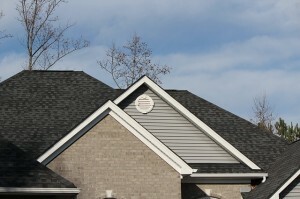 Damaged or missing shingles need to be repaired as soon as possible. If you don’t, you’re leaving the surface under your shingles exposed to the elements, which will eventually lead to a leak. Roofers love Southside Bargain Center. They know that they can trust the shingles they get here. If you already have a roofer, send him to us to buy your shingles. He can pass his savings on to you. If you don’t have a roofer, call us. We can give you a list of companies that we know and trust. Chances are we’ll be able to introduce you to one when you come in, simply because roofers are frequently in our store buying. You can’t beat the savings. With savings averaging between 20 and 30%, you just can’t beat us. We can’t advertise the brand name, but you’re going to recognize it on the box when you come. Shop around, and you’ll be back!